Authorities in Ferguson, Missouri say a memorial to Michael Brown, the 18-year-old unarmed African-American man killed by a local police officer last August, was vandalized over the weekend. The tribute has since been replaced. A tree was planted near a walking trail in January-Wabash Memorial Park on Saturday and dedicated in memory of Brown. One day later, though, a police officer patrolling the area discovered that the sapling had been stripped of its branches and severely damaged. The concrete and metal dedication plaque at the base of the memorial was also removed, KSDK-TV reported, and a nearby tree dedicated to someone’s deceased pet was also reportedly vandalized. The memorial to Brown had been donated by the Black Caucus of the American Library Association and lasted less than 24 hours in the St. Louis suburb before being destroyed. USA Today reported that both vandalized trees were replanted on Monday, however, and that a new plaque for Brown will be installed this week. 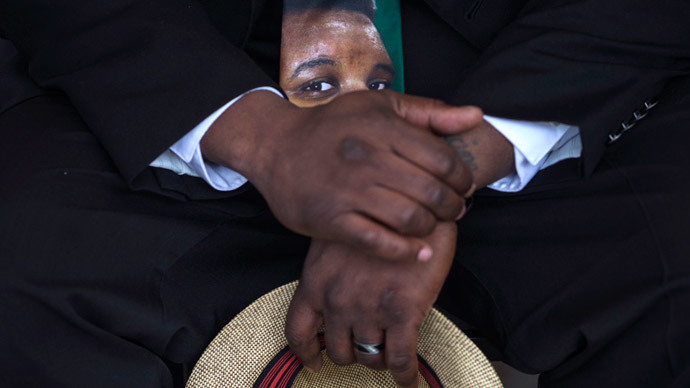 Brown died on August 9, 2014, after being shot in broad daylight during a brief altercation with Darren Wilson, a white officer with the Ferguson Police Department who has since resigned. Brown’s death and the subsequent handling of the affair by local law enforcement helped rekindle a national debate on race relations, the likes of which has been amplified in recent months as the result of other similarly tragic encounters between white cops and black Americans. Two previous memorials to Brown were destroyed last year, the Washington Post reported, as the result of a fire in one incident and an automobile accident in another. In a statement, Ferguson officials said that they had no witnesses or leads regarding the weekend vandalism.